Spring is coming! Spring is coming! 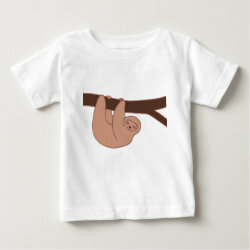 As you are shopping for spring and summer shirts for your little one to stock your kid's closet with comfy clothing, be sure to check out these cool shirts. These cute designs start out as hand drawn illustrations. They are unique in that you won't find them at your local big box store and see your friend's child wearing the same shirt! 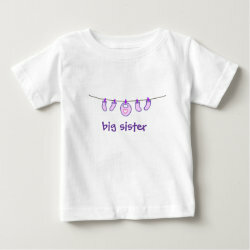 ​The shirts below are available in size 6 months, 12 months, 18 months and 24 months. However, the designs are available on a variety of styles including long sleeved shirts, one piece body suits and bigger kid shirts. Click on the image for more product info. Does your toddler love to help? My kids loved "helping" to fold the laundry and push their toy vacuum around the house when they were little. 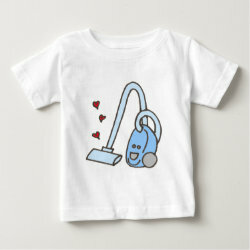 These memories inspired me to draw this cute illustration of a vacuum cleaner with hearts. 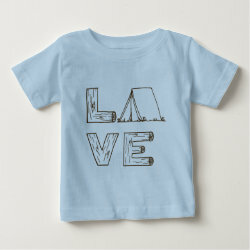 This cute shirt is perfect to play in the garden as the weather warms up! 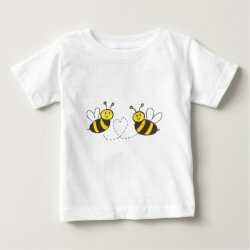 This cheerful design of two cute honey bees in yellow with a heart between them has been very popular. The simple design with limited color palette makes it easy to match with any other color. Got a little happy camper? If your family loves to go tent camping, this shirt is a must have! With the word "LOVE" in hand lettering that looks like wood and the illustration of a tent, it is perfect for romping around the campsite. You can choose the color of the shirt so it works for either boys or girls. I don't know about you but I have a thing for sloths. They inspire us to slow down and appreciate the beauty around us. Just like our kids really... Perfect for those tropical summer days when we feel a bit lazy. Ready for relaxing days at the pool? 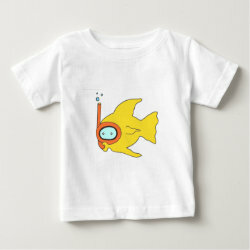 This funny snorkeling fish in bright colors is definitely ready! An illustration with a sense of humor! New baby in the family? Help to make the first born child feel extra special with these "big sister" and "big brother" shirts! More pink and blue! 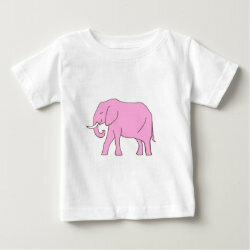 Check out this adorable elephant design in pink and blue. 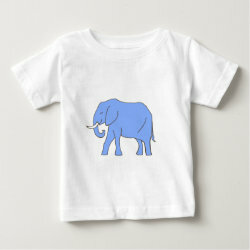 ​This elephant design looks modern with its simplicity and clean line drawing filled in with bold color. Who can resist this smiling baby elephant? Do you have a little sports maniac in the house? An active toddler who loves to run around and kick soccer balls all day? Got a shirt for your soccer player! You can easily personalize the back of the shirt with a name. Does your toddler love to snuggle up for story time? Can't get enough of big stacks of board books and picture books? Well, it's never too soon to start enjoying reading. 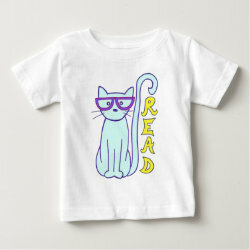 Your kid will look so hip wearing this cool cat shirt to story time at the library! ​I would love to hear in the comment section which of these shirts you like best. Also, if you have a particular design in mind but can't find it, I'm happy to work on a custom illustration for you! Money Saving Tip! 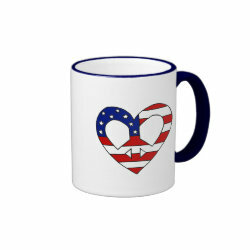 For only $9.95 per year, you can enjoy free standard shipping with the Zazzle Black program. You can even start with a free 30 day trial! For more information click here. Call me naive but I still like to believe we can make this world a better place. I believe one person CAN make a difference. This belief is what motivated me to start some crazy volunteer projects without any formal experience or training but that ended up making a positive impact for an awesome group of kids. It was scary during the planning stages as there was no guarantee for a successful outcome. But doesn’t it seem that when one person steps up, they are suddenly joined by other (perhaps crazy) people who also believe they can make a difference? And that’s when REALLY great things start to happen. That's when you can build something much bigger than you had even imagined. I’m not one to make a public stand on politics or vocalize my personal political beliefs on social media or on the internet. I find that politics can unfortunately tear friends and families apart. However, this election year in the United States, I feel deeply concerned about the divisive rhetoric and tactics that are being used. ​Feeling drowned in the negative news, I was struggling to find a way to express this concern and my feelings. I decided to sit down with my sketchbook and started doodling. With simple lines using a worn down pencil, I created an illustration that symbolizes a more positive direction for our country. 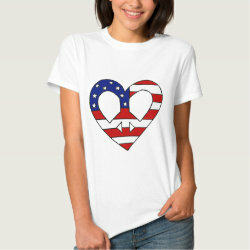 A symbol that is bipartisan - one that you can support whether you vote Republican or Democrat. 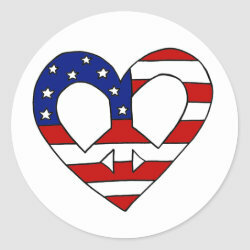 A symbol that shows our kids we strive towards more peace, greater unity and a deep love for our country. ​Do you believe in this too? In taking a positive stand against all the negative this election year? Will you join me in taking a step towards building bridges and working together to create a better world for our kids? If you do, imagine what you can do. For me, it is grabbing a pencil, creating a hand drawn illustration and sharing the design with you. Everyone has their own gifts and ways to express. Please share your thoughts and how you choose to respond in a positive way. How can you respond in a positive way? ​Are you a mom? Do you believe that one person can make a difference? I look forward to hearing from you in the comments! This cute Easter Bunny is ready to share some love! It's almost Easter! 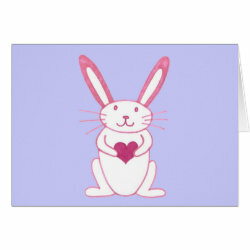 If you are a busy mom who would love to make this holiday special for your kids, I have created a quick and easy shopping guide featuring my design collection of a cute bunny rabbit holding a heart to help you with all your Easter shopping needs. 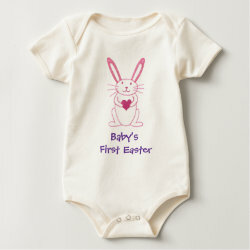 Celebrate baby's first Easter with a keepsake onesie with matching pacifier. This one-piece bodysuit is made of 100% organic cotton, soft and snuggly for your sweet baby. You can easily customize the text to personalize with name or change the background color of the pacifier. The beauty of these baby gifts is that they will still look adorable after Easter. This collection of baby blanket, burp cloth and bib can all be easily personalized with baby's name and make meaningful baby shower gifts as well. Want to create a fun Easter Basket for the kids with stuff that is unique and not ready for the trash in a week? Here are some sweet gifts for both toddlers and bigger kids. Planning an Easter Egg Hunt? Do your kids love an Easter Egg Hunt as much as my kids do? 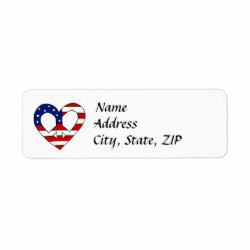 From invitations to cake decorations and paper goods to home decor, I've got you covered! Worried about high shipping costs? 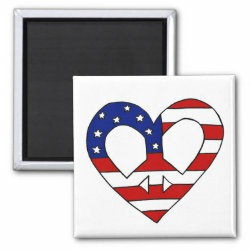 Please check out the Zazzle Black program. For only $9.95 per year, you can enjoy free standard shipping and you can even start with a free 30 day trial! For more information click here. 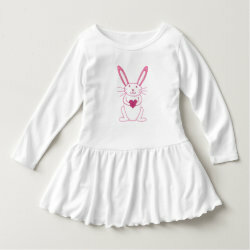 If you like to join the Easter festivities in style, dress up in this cute Easter Bunny shirt with matching nail art! If you like to sew and be crafty, you can order this lovely fabric with cute bunny pattern in different materials and sizes from a swatch to a yard. Imagine all the wonderful handmade gifts you can make with this beautiful fabric! 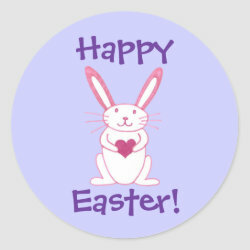 Putting the finishing touches on your Easter gifts is easy with this cute gift wrapping paper, high quality greeting card, customizable gift bag and round stickers. The text on the gift bag can be personalized with a name instead of the Happy Easter greeting if you prefer. 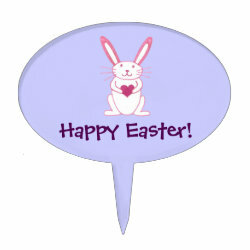 Have a Happy Easter! I always love it if you leave me a comment to share your Easter stories or any general feedback. Thanks so much!